Risk it all and upgrade with bootleg version now, or wait a couple of weeks? Look at this phone. Thinking it's so jaunty. Android Jelly Bean 4.2.2, which will bring the functionality of the Galaxy S4 to the Galaxy S3, has been leaked and is available to download, if you're brave enough. It is understood that this isn't the official version, which is still in test mode according to SamMobile. The final version is expected to be released sometime in June of this year. Expected updates include the Galaxy S 4's enhanced voice controls, the S4 lockscreen with new unlock features, a completely revamped settings UI, new screen modes like Adapt Display and Professional Photo and full screen Samsung apps. 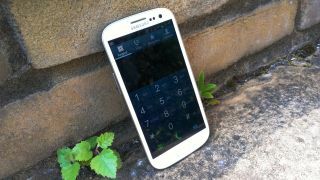 These new features will help give the Galaxy S3 a renewed lease of life, as they could fix legacy issues like a wonky auto-brightness setting. And come on now, who doesn't want to get rid of the ripple effect and get a little dot of light instead to unlock the phone? You might have to put up with an all-new menu system, but that's a small price to pay to get your hands on the next generation of Android for your ageing Galaxy S3. There's no information, however, on whether S4 features like picture-in-picture photos and videos will be rolled back to the previous handset - we await official confirmation from Samsung on when and where this update will be rolling out.